Don’t get caught in the trap! 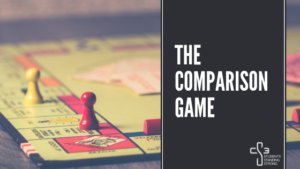 The “Comparison Game” is a dangerous trap because the rules always change and no one ever wins. Do you ever find yourself checking many times a day to see how many “friends,” “followers,” “likes,” “shares,” and “retweets” you get? Does viewing social media ever causes you to feel as if everyone else has more friends, more fun and more excitement than you have? When you think others don’t like you, does it makes you feel as if something is wrong with you? You’ll always experience times that you don’t “feel good” about yourself. Maybe you don’t like something about your appearance, clothes, personality or accomplishments when you compare yourself to others. Maybe you’ve even wondered if God messed up when He created you. In 1 Samuel 16:7. God says He looks at what is in a person’s heart, not what is on the outside. Stop and ponder what that means. God is interested in the REAL you on the inside–not what’s on the “cover” that others use to judge you. So, how could this Bible truth make you look at yourself differently? And, how could this truth make you see and treat others differently from the way you did before? 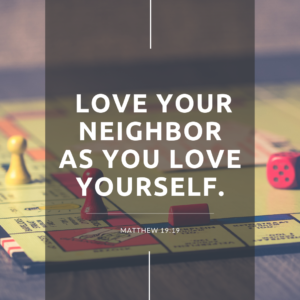 Matthew 19:19b NIrV LOVE your neighbor as you LOVE yourself. When you compare yourself to others, there will always be someone else that seems to be more athletic, beautiful, talented, intelligent or popular than you. Comparing ourselves to others causes us to be trapped into believing that we should be like everyone else. However, what people see on the outside is not the real you! God made you to be one of a kind, with an inner beauty that is uniquely your own! Your inner self (your “heart”) is who you are! God wants you to be free from feeling you should be like everyone else. God tells us in Genesis 1:31 that He “saw all that He had made, and it was “very good.” And that means you! When you begin to see yourself the way God sees you, you can stop the comparison game! In Psalm 139:14, God describes you as amazing and wonderful! 13 You created the deepest parts of my being. You put me together inside my mother’s body. 14 How You made me is amazing and wonderful. I praise You for that. What You have done is wonderful. I know that very well. 16 Your eyes saw my body even before it was formed. before I had lived through even one of them. 17 God, Your thoughts about me are priceless. No one can possibly add them all up. they would be more than the grains of sand. You would still be there with me.